Queers don’t inherit our stories. That’s changing a bit, and perhaps it’s even overstating in some places. After all, among my queer friends here in Canada, about a third of them have children. It’s possible that some of those children will themselves be queer, in which case a direct inherited narrative of queer life could occur. And regardless, whether or not those children are themselves queer, they’re going to be living lives informed by the queerness of their parents. There will be stories they hear. Over the last year I reached out to high school Rainbow Clubs, SAGAs, and GSAs. They had many names, but the same mandate: a place for queer people to gather, connect, and support each other. That they exist in high school is an amazing thing to me, and a real joy. One of the questions I had for this brilliant new generation of queer youth was, simply, Do you have any queer relatives who’ve told you their queer stories and queer histories? With one single exception (a gay uncle) the answer was No. We’re born at random, to families who—most often—aren’t like us in this specific and important way. When it came time to pick a title for my first short story collection, something incredibly rare happened to me: I had one in mind. With this collection I knew right off. 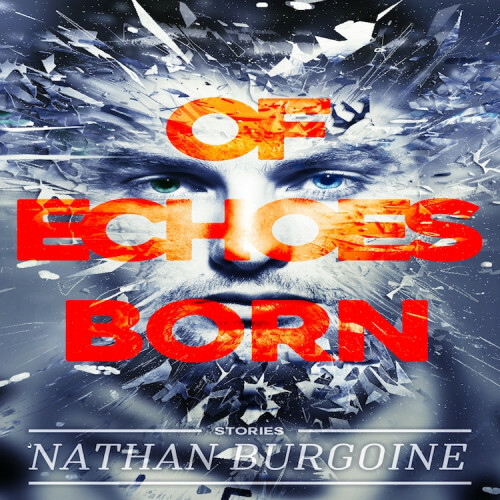 Of Echoes Born doesn’t quite refer to any individual story within the collection itself, though the word echo does appear here and there. These gay speculative fiction stories often deal with the past and the future overlapping or reaching out to each other, the past itself echoing a voice to someone in the present. But the meaning of the title goes back to those queer kids, and the queer kid I used to be, the first story I found with someone like me, and how our stories aren’t inherited. The first story I ever read with a character like me had the on-page death of that character. My teacher explained the why of it in an of-course kind of aside—the character was gay, ergo the character died—and the class moved on without blinking. It was just accepted, understood. Gay people died. That was what happened. I clung to my desk, barely heard the words being spoken around me, and got through the rest of the day with a kind of brittle carefulness. I felt hollow and disconnected from myself. That character was like me. That was the first real story of someone like me I’d bumped into. Everyone accepted his ill end. It couldn’t mean anything good. Luckily, I eventually found other stories. Stories written by queer people where the queer characters weren’t all doomed by design. Or, if they were, they were people who lived and breathed and had joy and anger and happiness as well. Finally, I heard voices like mine telling me about their lives. Queers don’t inherit our stories. Our history is almost never taught. Our fictions aren’t shared as often as non-queer fictions. We don’t have a generational handoff of tales the way other cultures do. We’re buried in algorithms, classified and categorized adult, or shelved apart—if we’re shelved at all. But we do have those stories. If we tell them—if we make sure they’re loud enough—they’ll echo. The more stories we tell, the more echoes there are, and the more likely that those of us born in the space between will hear them.